2012 TOURNAMENT WINNERS. See the names and prizes of our 2012 competitors. For our Third Annual Craig Boddington Salmon Fishing Tournament we had good action on Coho (Silvers) but the heavy Chinook were elusive. With the warm season, the runs came much later than most years. When the Tyee did finally arrive, they where larger on average than most years. One catch of 86.5 lbs. made the major newspapers in Vancouver. Salmon of this size are not a common occurrence. The winning fish may have been smaller this year, but THE PRIZES WHERE THE SAME! 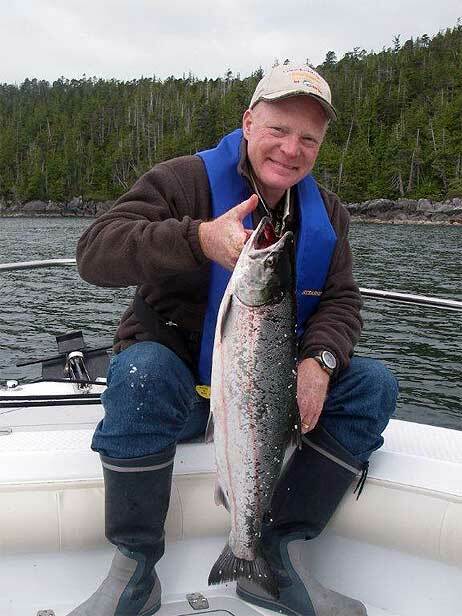 Craig Boddington with a fine Coho picked up during the tournament weekend..
Don't miss the Fourth Annual Craig Boddington Salmon Fishing Tournament, August 2 – 5, 2013. 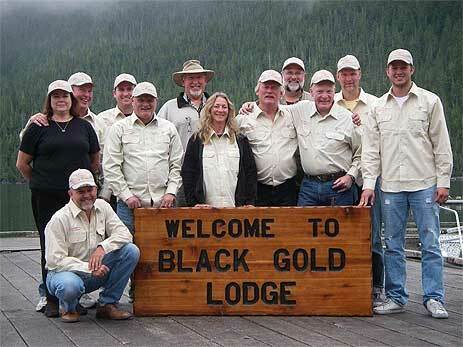 You can expect more great fishing action and unbeatable chances to win premiere WORLD SAFARI PRIZES.